Justin Snider wrote a recent story in the Huffington Post and Hechinger Report based on an interview with Henna Virkunnen, the Minister of Education in Finland. It was a good article that summarized what sets Finland apart from other countries when it comes to teaching and learning. What lessons could the US learn from how Finnish society treats elementary and secondary education? “Our teachers are really good.” They believe in their teachers. “Teaching profession is one of the most famous careers in Finland.” The society has great respect for the profession and it is modeled for students. “Teacher education is research-based.” Teachers construct the knowledge that becomes part of the training programs for future generations. “Student teachers have a lot of supervised teacher-training during their studies.” New teachers are mentored by experienced teachers. “Our educational society is based on trust and cooperation.” So when they do testing they use the results for the development of teachers not to control them. “We trust teachers.” Teachers can develop a sense of self-respect because the whole system honors their work and achievements. “We think that learning one’s mother tongue is very important, and that’s why we teach the mother tongue for all immigrants as well.” They take the student where he or she is and help them grow. 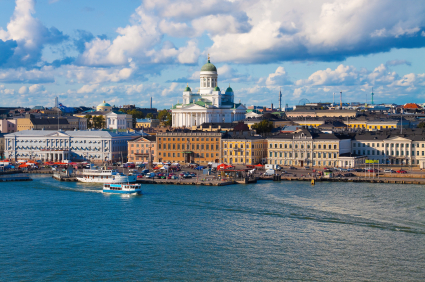 In Helsinki, they teach 44 different mother tongues. “Teachers unions has been one of our main partners because we have the same goal.” Cooperation between the education system and the unions representing teachers. They all work towards the same goal, assuring that the quality of the education system is good. “It’s very important to pay attention to teacher training, in-service training, and working conditions.” Pay attention to excellent preparation. After reading the interview with Ms. Virkunnen, I was struck by the fact that many of the quotes I pulled from the article mirror what I would say about my teaching career spanning 33 years in independent schools in the United States. In most independent schools, teachers are trusted, valued, and honored by their schools. The schools pay close attention to making the working conditions excellent. Finally, for the most part the environment is one based on trust and cooperation. These qualities are critical in helping teachers provide the best experience for their students. However, I also learned from the interview that in the US we have a long way to go in terms of improving our educational system, public or independent. We have very inadequate training programs for new teachers. Teachers do not construct their own knowledge through a more research-based approach to their craft. We do not use action research as a way to add to our understanding of what good teaching involves. We have institutions of high education doing the research in ways that are disconnected from the work in the classroom. We do not value partnerships between higher education and elementary and secondary schools. Of course, our teacher unions and systems of education in the US are adversaries. There is a total lack of cooperation or a sharing of goals. Just look at what is happening in Wisconsin and in other states across the country. Politicians and union activists or officials cannot work effectively with one another. They don’t share a common goal to provide a quality learning experience for students. There are too many self-interests that get in the way of progress. We have a lot to learn from studying what works in Finland, but we also can study what works in the US. Good independent schools, and certainly some good public schools, have systems and cultures that support high-quality teaching and learning. Let’s not fight a battle over our children, let’s learn from what works and positively change the system in the US.